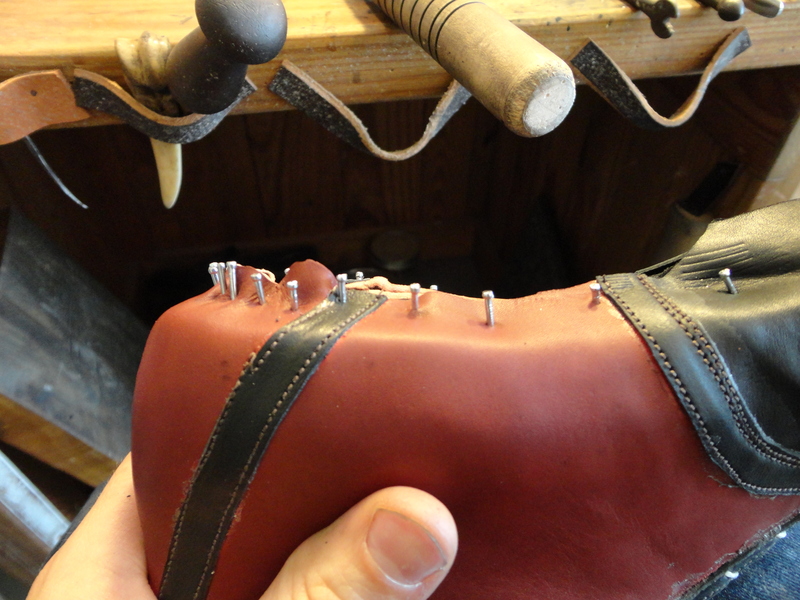 then pull the heel, pleat it, and pull the shank. 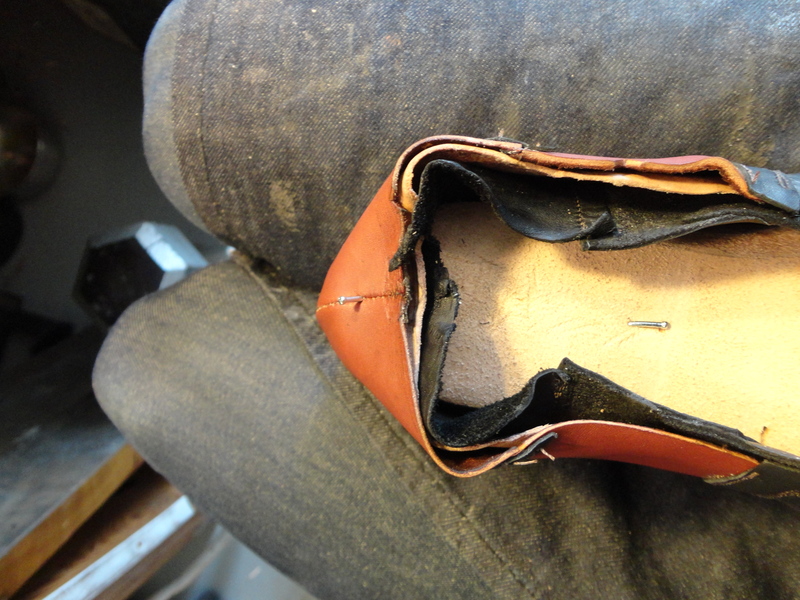 Extra allowance for a very narrow/beveled waist in the final shoe. 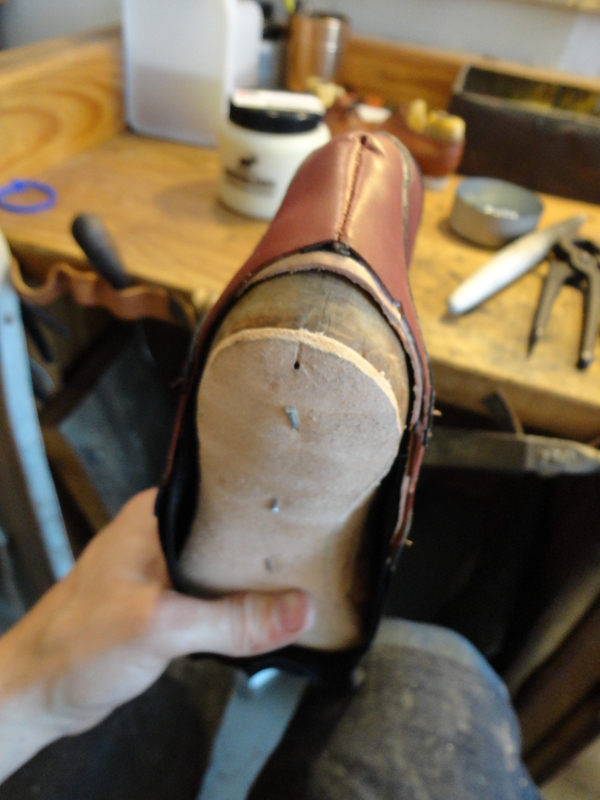 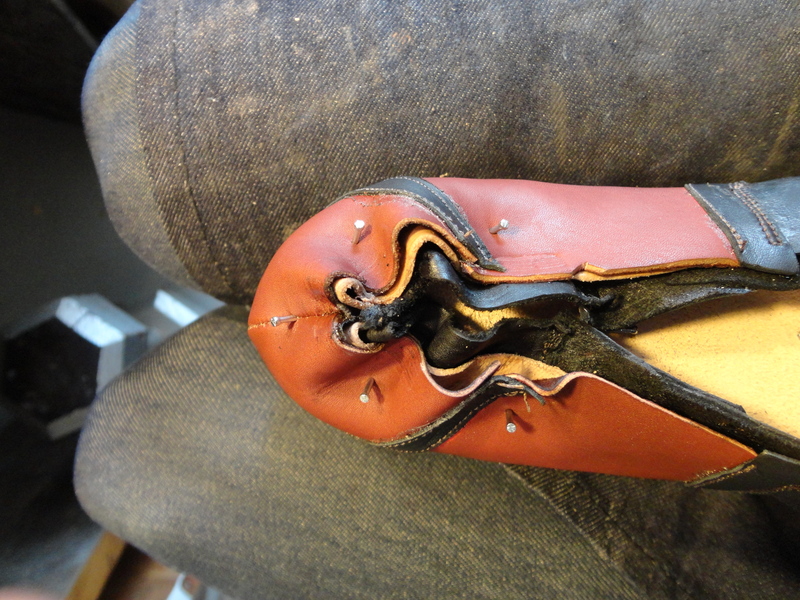 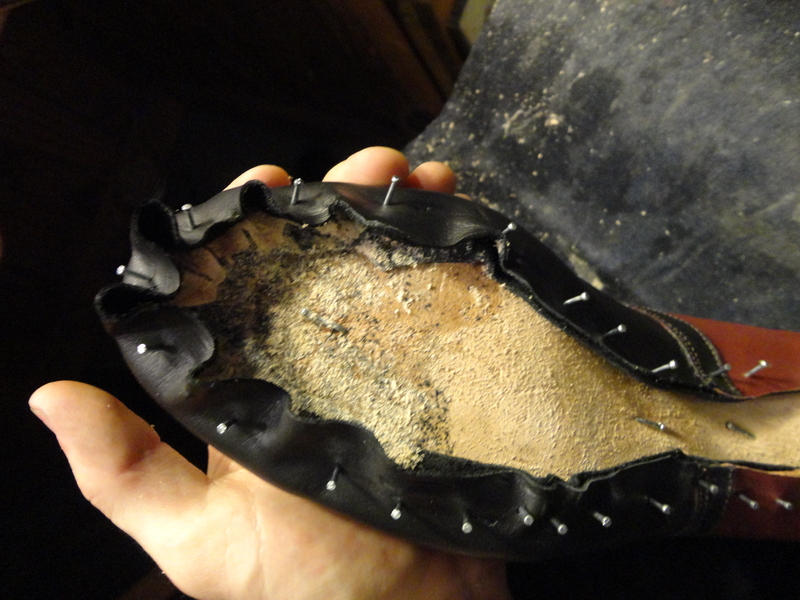 With the lining lasted and the toe stiffener inserted the upper is lasted at the toe. 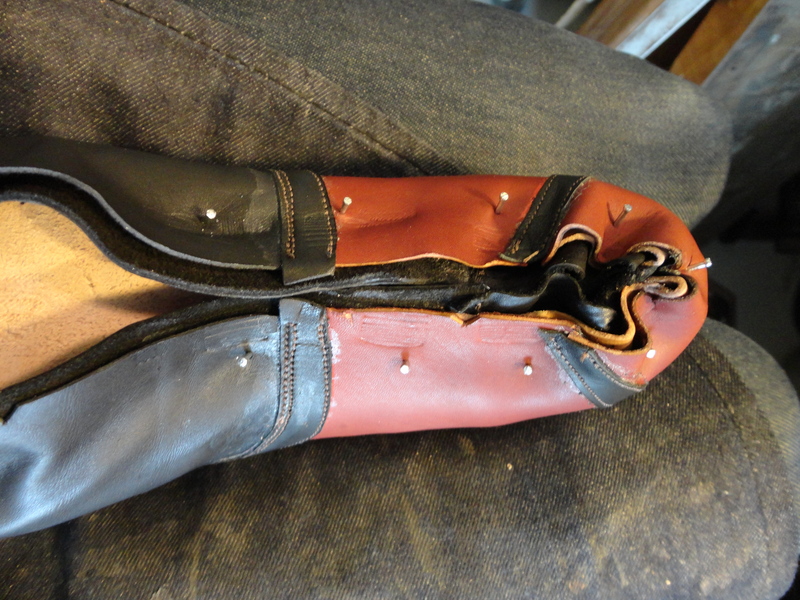 Pleat and lasting is finished! 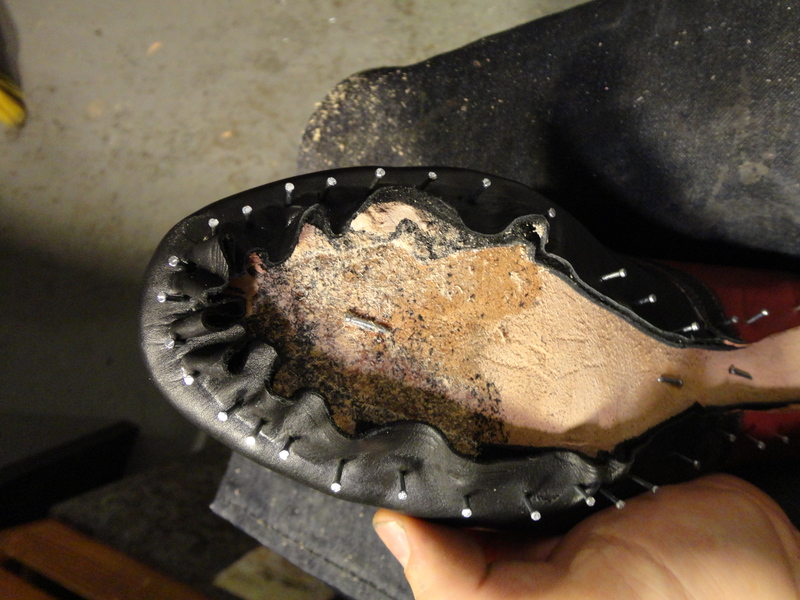 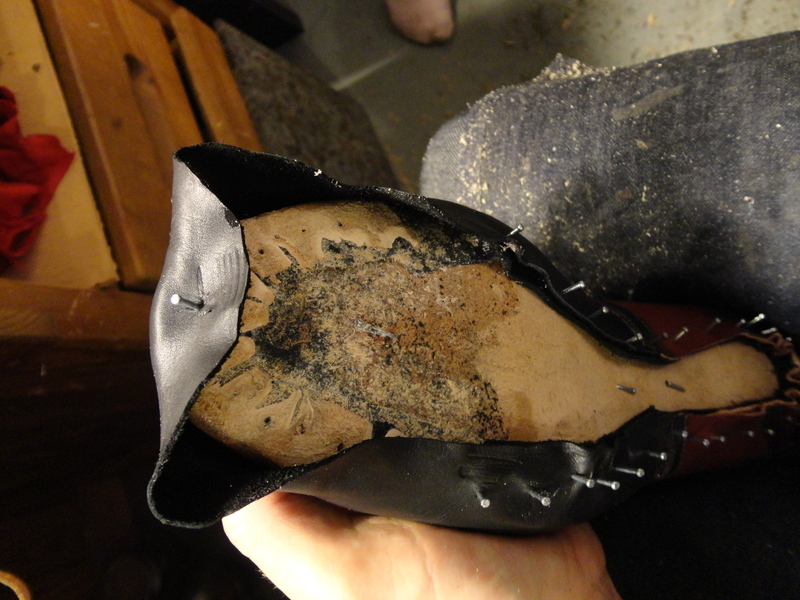 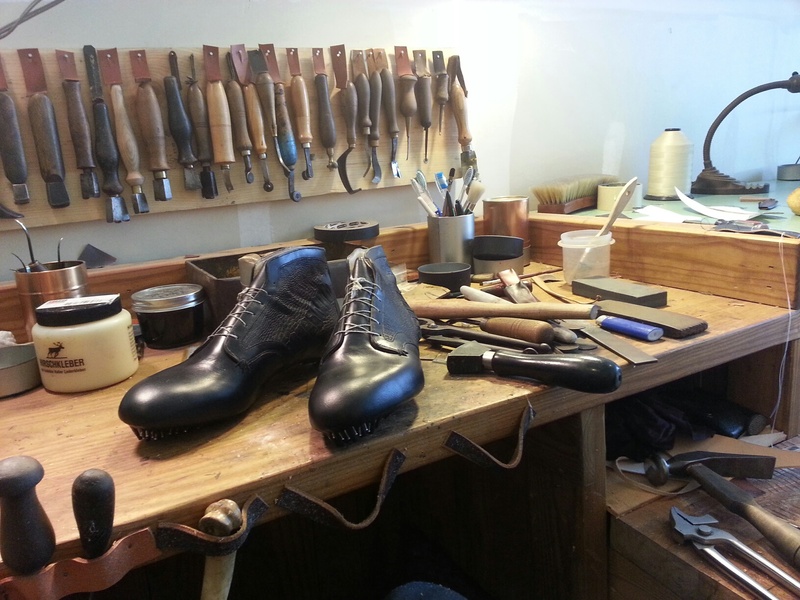 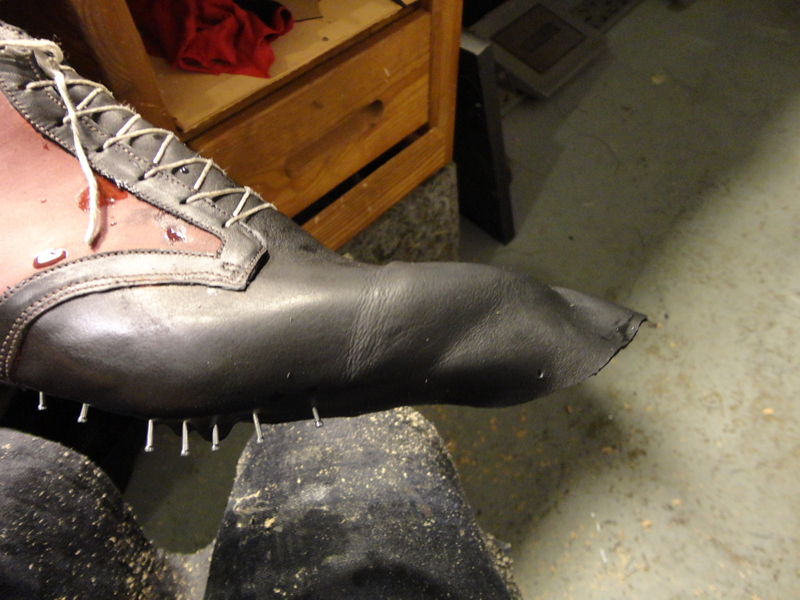 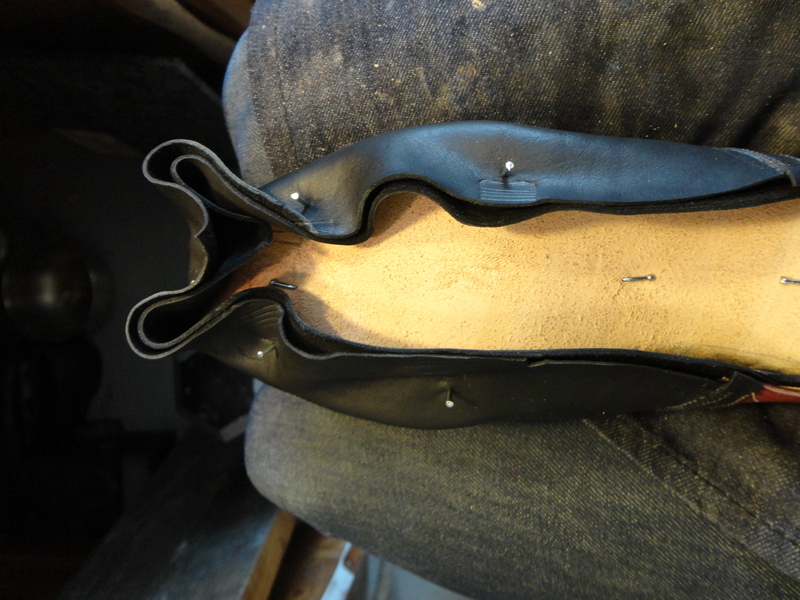 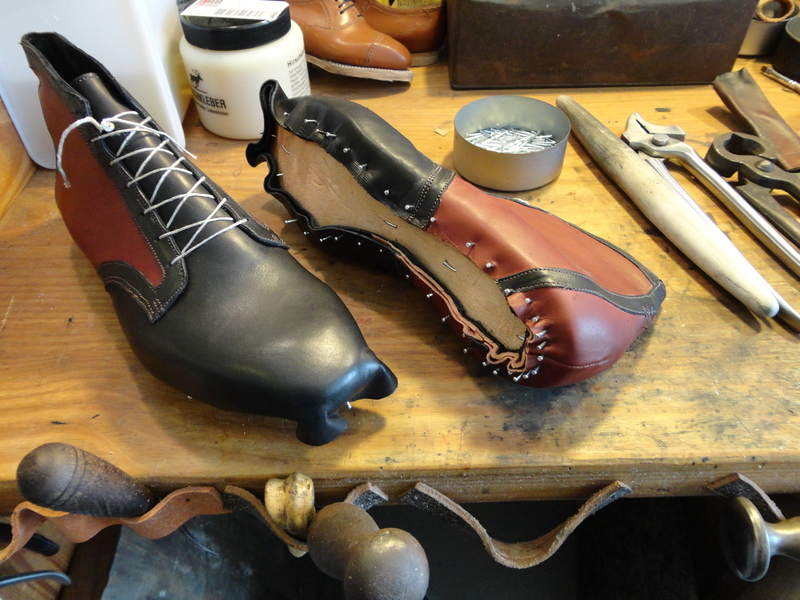 The test fitter was a good fit, here is a picture of the final shoes I just lasted today… the next step is to handsew the welt. 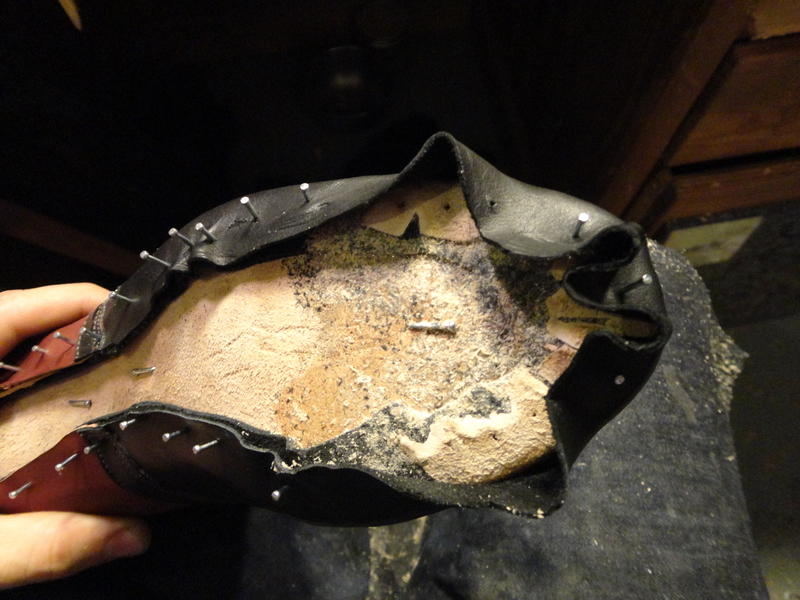 Where did you buy the Hirsch Kleber glue?